I know Christmas Jumper day has passed now, I just wanted to do a quick wishlist of the lovely jumpers I have found browsing the internet. I don't particularly like the Christmas jumpers that are in your face and really colourful, therefore I picked a few that are a little more subtle (with the exception of number two). I think my favourites have got to be number 5 (I'll keep you warm) and number 6 (double reindeer). They are actually both from Dorothy Perkins which have some lovely jumpers this Winter. 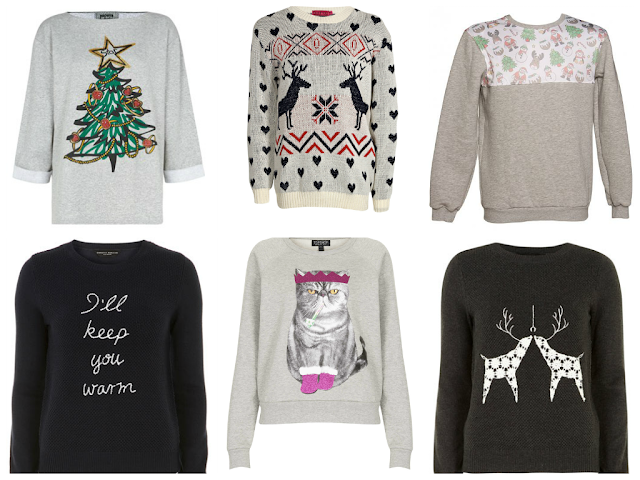 Have you bought a Christmas jumper this year? Which ones are your favourite?